Pool View, Patio and Farmers Porch! Relax and Enjoy the outdoors! Approaching the home from the long driveway away from the road. 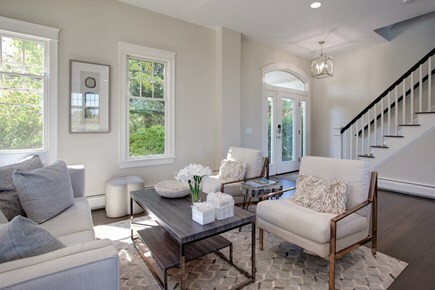 Lovely sitting area in the main living area. First floor living area looking out to the pool. 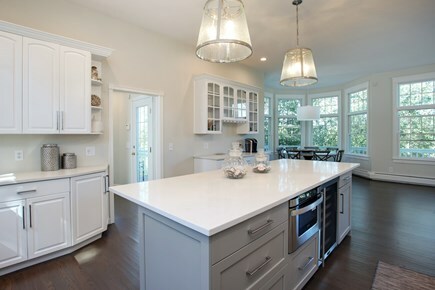 Beautiful Gourmet Kitchen with Gas Range, Sub Zero Refrigerator. 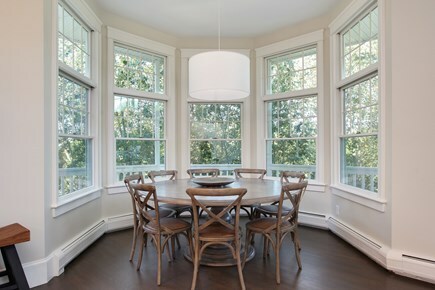 Lovely Dining Area just off the Gourmet Kitchen. 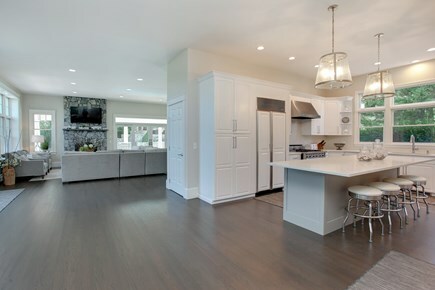 Open Floor plan, Wine Cooler, Large Island and Quartz Counters. Fantastic Living Room with lots of light! Living Room with Flat Screen and room for the whole family. 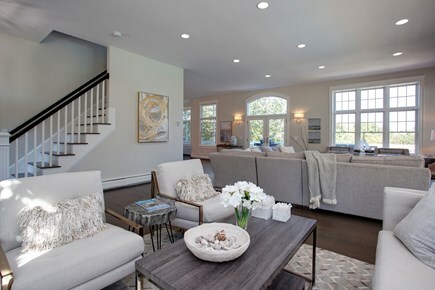 Stunning second floor living area with views of Sandy Neck! Master Suite with grande master bath and private deck. 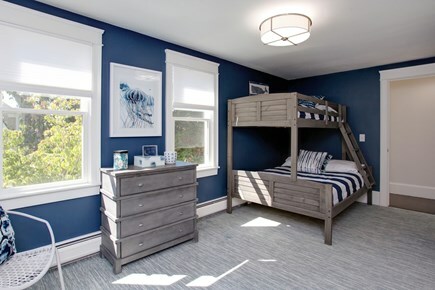 Fantastic second floor bedroom with connecting bathroom. 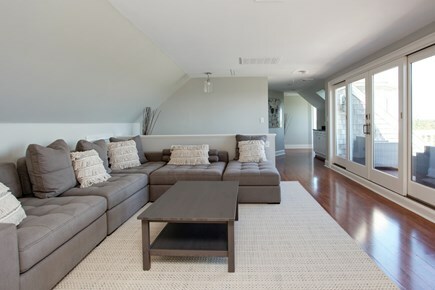 Third level great room with some of the best views in the house! Third floor office, sitting area with incredible light and views! Breathtaking views from the third floor deck. Sitting area and outside access from the master suite. Private deck off the master suite. Front view of the home and garage. View of the living area looking to the rear of the home. This stunning home lives large with the open floor plan. Spacious Deck, plenty of seating and gas grill. View of the home and pool from the driveway from the upper patio. 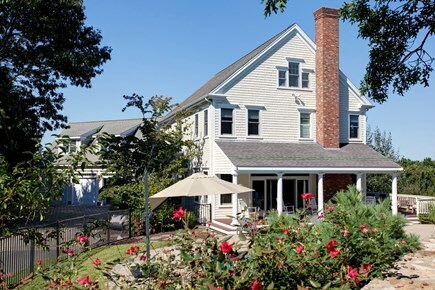 Relax on the Farmers Porch and cool off in the swimming pool! 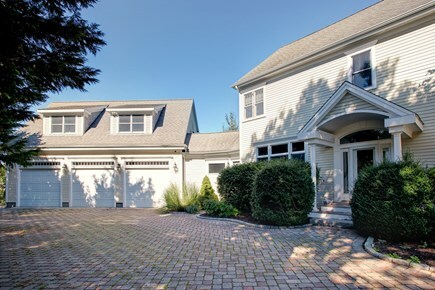 Why not treat yourself to this Exceptional Home near Cape Cod Bay and its stunning beaches. 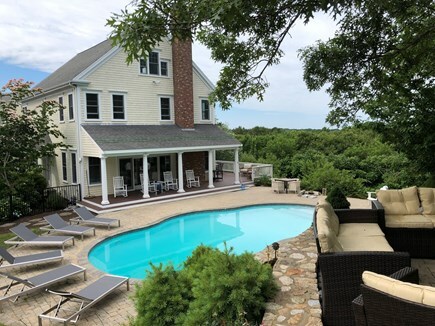 Sunsets on Sandy Neck features: Four bedrooms, Four bathrooms, In Ground Pool, Breathtaking Views of Sandy Neck, Cape Cod Bay and so much more! 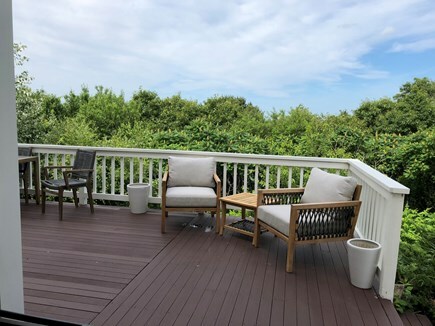 Are you dreaming of privacy, incredible views and relaxing on one of the private decks of your stunning vacation home on the Cape this year? Look no further. 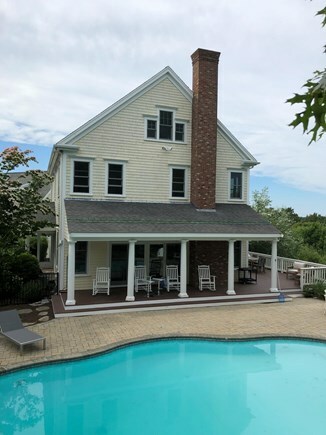 This gorgeous, newly renovated home is waiting for you to make special Cape Cod memories with your loved ones. Make your plans today. Sited on a private lot, the setting is serene and peaceful. Relax by the pool or venture to Sandy Neck Beach for the day. 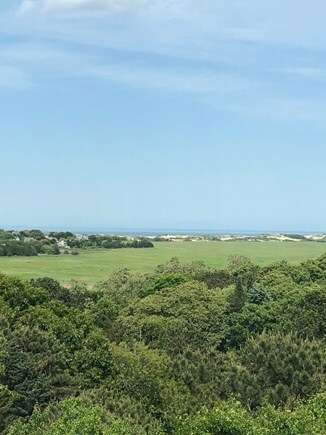 Conveniently located, Barnstable and Sandwich Villages are in close proximity and offer a variety of activities. 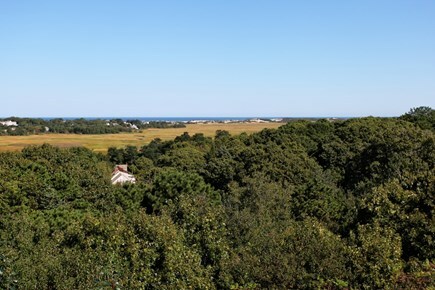 Close to all that Cape Cod has to offer, Ferry's to the islands, whale watches, shopping and museums. Tastefully decorated, this home boasts new floors, kitchen and baths and comfortably sleeps ten or more adults. The welcoming decor will make you feel at home right when you walk in. 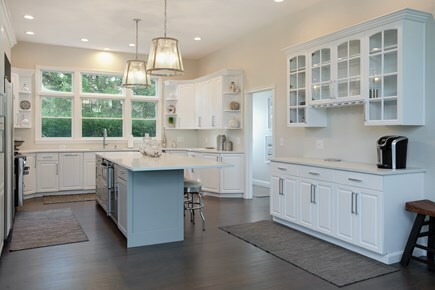 The main floor offers a large open floor plan, a gourmet kitchen, great room, spacious island and dining area. 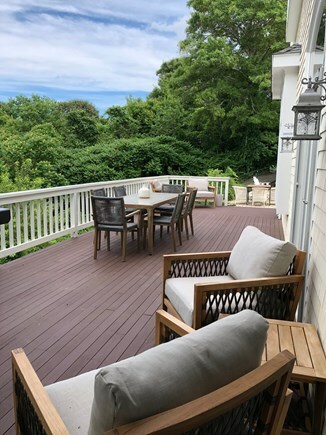 Sliding French doors lead to the spacious deck overlooking Sandy Neck and Cape Cod Bay to the rear and the farmers porch overlooking the in-ground pool to the side. 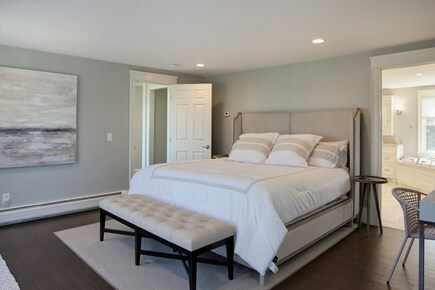 The second level features a master suite with a large private bath and a deck and two additional bedrooms that share a bath. There is also a sitting room on this level. Most rooms have lovely light and beautiful water views. 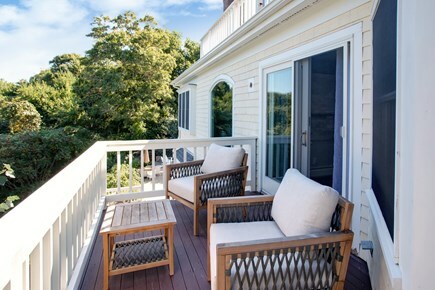 The third floor has a master suite with a living room, incredible views and a large deck. Additional pricing info: Please contact Laura for more information or with any questions! 508-648-3733 Thanks!, State and local taxes of 14.45% will apply. Our family thoroughly enjoyed our stay in Barnstable. We were incredibly impressed by the quality of the home. The furniture (inside and out) is not only stylish but comfortable. We also loved the layout of the home. There was plenty of room for our family to spread out. The bedrooms were very clean and comfortable and the bathrooms (like the whole house) were all recently renovated. The owners have excellent taste! We loved all of their decorations. We also enjoyed making dinner in the kitchen and on the outdoor bbq throughout our stay as well. The home is set up very nicely to accommodate a family vacation. The pool was amazing and the kids loved it! Also, Laura, the property manager is very responsive. She was very helpful throughout our stay in Barnstable. We can’t say enough about how great this home is and look forward to making this an annual tradition with our family. Grande Maison magnifique. Nouvellement rénovée, décorée avec soin. À peu près rien ne manquait et si nous avions besoin de quelque chose, la manager était très disponible. La piscine est très agréable. L’environnement est très calme. Parfait pour une famille qui veut se reposer et profiter du plein air, les jouets sont même fournis pour les enfants de même que les articles de plage. Nous avons adoré. Merci! 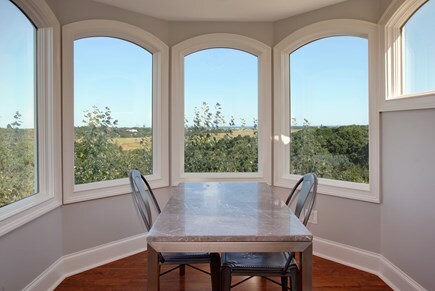 Beautiful and comfortable house that is perfect for a large family or group of friends. 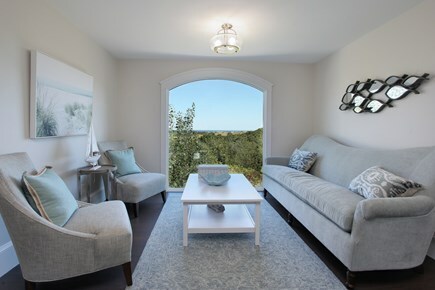 The home has everything you could ever want and is perfectly appointed. Large, modern kitchen, spacious living room and awesome outdoor space. It was absolutely perfect and we look forward to returning.